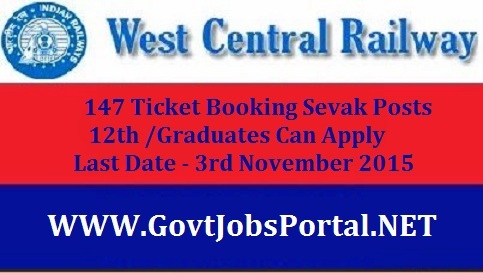 West Central Railway has publish an employment notification regarding the recruitment of Jansadharan Ticket Booking Sevak Posts . 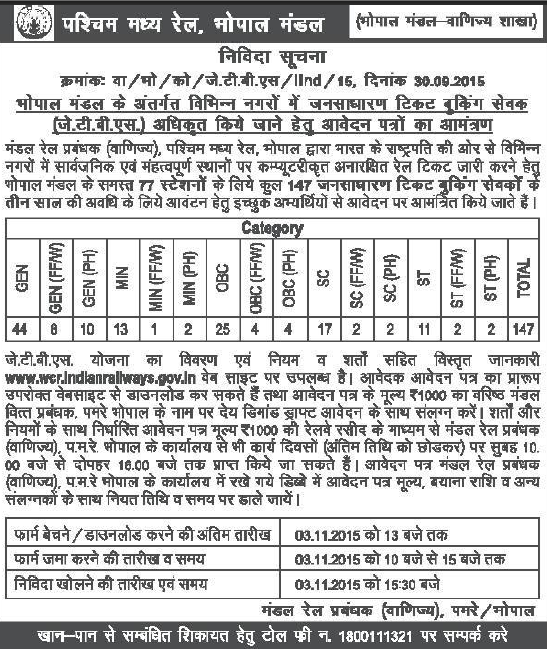 It is a good career opportunity for all the interested applicants who are looking for jobs in Railway Department & are eligible to apply for this Post. There are 147 number of Posts which are going to fill up under this Railway Recruitment Process. 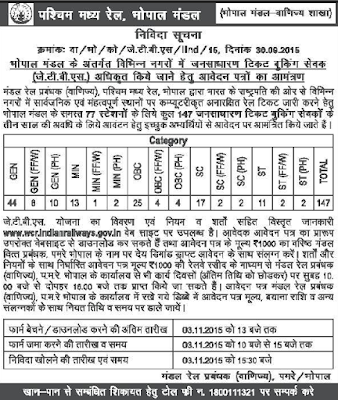 All the Interested applicants can apply for this Railway Recruitment online till 3rd November 2015. Additional Details on the subject of Vacancy information, education needed, age limit and how to apply is mentioned below. Read the full detail carefully & apply for the required post if you are eligible to apply. Academic Qualification: Applicants should have done 12th /Graduation from any recognized institute /board established by Law in India. How to Apply: Interested Applicant may apply online through their official website till 3rd November 2015.